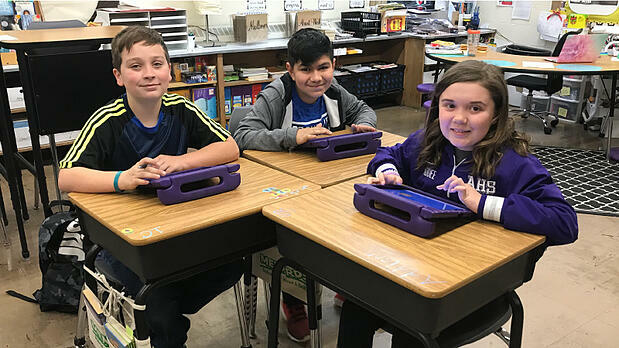 In this interview, Illinois Superintendent Thomas Mulligan explains why his district uses eSpark and Frontier in K-6 grade classrooms. Dr. Thomas Mulligan began employment as superintendent in Arcola on January 1, 2014. He has over 25 years of experience in working in public education. This experience includes 20 years in administration. 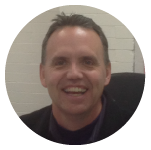 Over the years, he has also served on numerous state and national committees and has been an examiner for Illinois Performance Excellence. Q: Why did Arcola initially partner with eSpark Learning? Dr. Mulligan: Arcola School District researched supplemental instructional technology programs for a year prior to the implementation of the district’s 1:1 Digital Learning Platform. We wanted to choose a program that would help us achieve the academic goals we had laid out during that initiative. But, we weren’t just looking for a program; we were looking for a partner that would engage with our staff in conversations about and analysis of student progress relative to those academic goals. We chose eSpark Learning as that partner and have not regretted it for a moment! Q: How have eSpark and Frontier supported effective teaching and learning at Arcola? Dr. Mulligan: The two programs have impacted effective teaching in Arcola in many ways. The data our teachers receive from eSpark and Frontier really jump-started them to dig deeper into how their instructional practices were impacting student performance on individual academic standards. In addition, the programs both promote effective differentiation, which is the heart of learning and a large part of our district vision for students. These programs provide a high quality independent learning activity for students. This allows teachers to confidently work with small groups of students knowing that the other students are deeply engaged in learning! Q: How have you seen students grow while using eSpark? Dr. Mulligan: One of the best things that eSpark does is provide an analysis of how our students are performing on academic standards as measured by the NWEA MAP assessment, which we use as our academic benchmark-screening tool. The report they provide compares student growth (from fall to spring assessments) on academic standards that students were supported by eSpark Learning against standards where students were not supported by eSpark Learning. On this report, 100% is considered normal growth for all students. Over a three-year period, normal growth for Arcola students on standards not supported by eSpark was 87% compared to 117% growth on standards supported by eSpark. That means that when using eSpark, our students are well exceeding normal growth and closing the achievement gap! You can’t ask for better results than that! Q: Would you recommend eSpark and Frontier to other districts in your state? Dr. Mulligan: We already have recommended both programs to many schools in our state. As a matter of fact, we have hosted both group events and individual school district visits in Arcola. As a school administrator, when you find programs as effective as eSpark and Frontier, you tend to shout that from the rooftops! 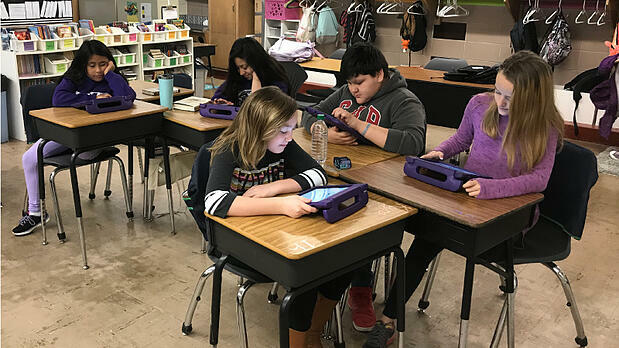 In Illinois, 11 school districts are using eSpark Learning to drive academic growth and student engagement. Ready to see what eSpark Learning could look in your district? 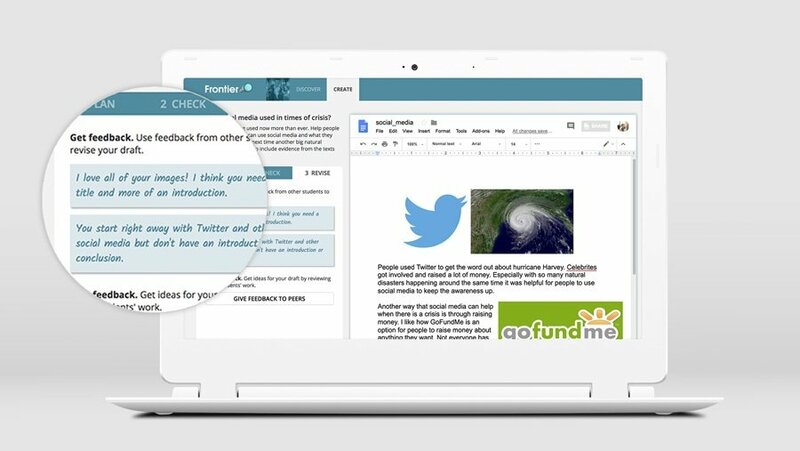 In Frontier, students give and recieve peer feedback through integrated tools.